Thankyou for visiting Maxgas, the No.1 supplier of Gas Safety Certificates, Installers of New Boilers, Boiler Servicing and Repair in London , Norfolk and Suffolk. If you are thinking of renting your property or you are a existing Landlord then we can help you to comply with your obligations and ensure that you stay fully legal and that your tenants are safe. We offer a fast and friendly service . All engineers carry ID Cards. Our Installers are equipped with the very latest digital flue gas analysers from Kane International. These allow us to measure the flue gas Carbon Dioxide percentage along with the Carbon Monoxide reading in parts per million. The combined ratio of the two readings give us a ratio of c0/co2, which indicates whether the boiler is safe, or needs servicing or repair. The results are then recorded and acted upon if required. So glad to meet today and you turned up on time! , unlike the other company that let me down. I will recommend you , thanks. Members of The Institute of Plumbing. If you wish to rent your property then we can provide you with the relevant documents to ensure that you comply with your legal requirements under the Gas Safety (Installation & Use Regulations) 1986. Under the above regulations all properties that are rented out must have a annual inspection to ensure that the gas pipe work and appliances are in a safe condition and do not pose a threat to the safety of the occupiers, resulting in the presentation of a gas safety certificate. Only companies that are registered under the Gas Safe scheme are allowed to carry out this inspection and issue a gas certificate, which is also known as a CP12. A Landlord faces severe fines or imprisonment if he does not have a gas safety check inspection carried out annually. Call us on 0208 473 9098 or 07836 729376. You can also email us by using the enquiry form on the contact page. We can normally attend to your property within 24 - 48 hours, and carry out the gas inspection. We provide a smooth and fast service, which leaves you the Landlord with peace of mind, knowing that the legal side is taken care of, and you are not left waiting with a property you cannot rent. How Long Does It take Before I Get The Certificate? We can normally issue the certificate straight away, provided we have received payment. All certificates are electronic and we can send them to the landlord, tenant and managing agent if required. We take payment either by cash on the day, paypal or credit card. 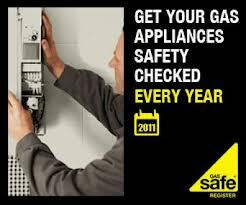 Are you Gas Safe Registered.? Yes we are our registration no. is 68670. YES ! We have 25 years experience of repairing , servicing and installing gas boilers, cookers and water heaters and can normally offer a repair or replacement. Please ask for a quote. We have had many customers asking us if we are Corgi Registered. Please note that Corgi no longer run the registration scheme for approved gas installers, this has been taken over by Gas Safe Register. If someone offers to do gas work for you and states that they are Corgi Registered then DO NOT use them as they are breaking the law, and any work they do will not be legal, they cannot issue gas cert cp12 inspections, and cannot register new boilers with Building Regulations. If in doubt contact the Gas Safe Register and check with them. Can any one who is Gas Safe Registered issue a Landlord Gas Safety Check.? No! It is a misconception that anyone who is Gas Safe Registered can issue a CP12 Certificate. The engineer must also hold individual certification for each appliance he is testing and also for gas pipework and meters. We always carry our cards with us to prove who we are and that we are legal. Make sure you check the card , otherwise your certificate could be worthless. We cover a large area, which includes London, Parts of Kent, Parts of Surrey and some parts of Sussex. It is not possible to list all areas that we cover, if in doubt please call. Do you cover The Congestion Charge Area? Yes we do cover the Congestion Charge Zone, but please note that a additional fee is payable. Full details are on the bottom of the contact page. Fully qualified Gas Safe Engineers. We will automatically remind you before your certificate expires, saving you the worry. 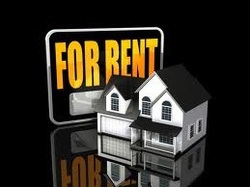 Who is a landlord? In relation to domestic gas under the Gas Safety (Installation and Use) Regulations 1998 (GS(IU)R 98), a landlord is anyone who rents out a property that they own under a lease that is shorter than 7 years or under a licence . Regardless of whether you are a landlord under GS(IU)R 98 you may be considered a landlord under other related legislation. What are my duties as a landlord in relation to gas safety?You have duties under the Gas Safety (Installation and Use) Regulations 1998 to arrange maintenance by a Gas Safe Registered engineer for all appliances,pipework and flues which you provide for tenants use and are owned by you. A Gas Safety Check must be arranged annually and carried out every 12 months by a Gas Safe Registered Engineer. A copy of the Gas Safety Certificate must be given to all tenants and be kept for 2 years from the date of issue and a copy given to any new tenants before they move in. What are my duties as a letting/ management agent in relation to gas safety checks and gas safety certificates?Landlords who use agents to manage properties need to ensure that the management contract clearly specifies who is responsible for carrying out the maintenance and gas safety check duties, and keeping associated records. If the contract specifies that the agent has responsibility then the same duties under the Gas Safety (Installation and Use) Regulations 1998 that apply to a landlord apply to you. Do I have to use a Gas Safe Registered engineer to complete gas work?Yes. The Gas Safety (Installation and Use) Regulations state that landlords must only use a Gas Safe Registered engineer for safety checks and maintenance on gas equipment they own and provide for use in domestic property. You can check that the engineer is registered by asking to see their Registration Card which also lists the areas of work that they are competent to work in. This is marked on the back of the card with the expiry date. What gas appliances do I have responsibilities for? Any gas appliance that you own and provide for the tenant's use is included in your legal duties. If a tenant has their own gas appliance that you have not provided, then you have responsibilities for parts of the associated installation and pipework but not for the actual appliance. Send a reminder to the tenant that their appliances should be serviced and checked for safety each year by a Gas Safe Registered engineer, and where possible, offer to include these (at reasonable cost) within gas safety maintenance undertake on your behalf. At the start of the rental, advise the tenant of any flues or chimneys that are unsuitable for the installation of a gas appliance. You may also wish to consider regulating the installation of any appliance by the tenant through the tenancy agreement. it is also recommended to include all flues (chimneys) connected to gas appliances within your Landlord's Gas Safety Check, even when they do not serve appliances owned by the landlord. What checks should be done between tenancies?You must visually check the property to see if the departing tenant has either removed appliances unsafely, or alternatively left behind their own appliance, which should either be removed or checked for safety by a Gas Safe Registered engineer. The opportunity should be taken to clarify appliance ownership before renting the property again. If you suspect that a gas appliance has been damaged or tampered with , then the HSE recommends you arrange for another gas safety check to be carried out before giving access to new tenants. Before allowing new tenants into the property you need to make sure all appliances are safe and have a valid Landlord Gas Safety Record, the gas meter and pipework should also be tested to ensure there are no leaks. HEAD OFFICE ;- 45 FAIRBY ROAD, LEE, SE12 8JP.